How do enterprises succeed during periods of economic downturn? This was the question posed at a recent Round Table with some of my mid-market clients. They came from a wide range of industries – civil works, FMCG, retail as well as construction, transport, labour hire and recruitment. 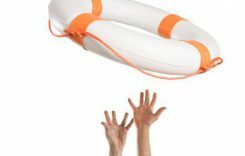 Many businesses have seen several downturns in their lifetimes and agreed a strong balance sheet was critical to survival in adverse conditions. Careful on-going cash-flow and capital investment planning and constant discipline were key to success. Balance is always needed between investing in the business and saving for the business. This tension is even greater in private companies, when one or more family business members or owner families also rely on the business to accumulate personal assets. During Western Australia’s downturn, businesses with investment capability and well- established brands seized opportunities where they saw gaps emerging in the market, sometimes created by struggling competitors. They diversified into new markets, products and geographies that were not overly dependent on mining and construction sectors. Successful businesses also aim to influence aspects of government policy and regulation. Faced with proposed changes to law which would have had a devastating impact on his business, one owner successfully joined forces with competitors to lobby the government. The take home lesson is that knowing what is going on inside your business is important, but being aware and involved with the regulatory and political environment that impacts your business is just as critical. Most of the private companies at our roundtable were born out of partnerships with spouses, friends or colleagues and the strength of these relationships underpinned the company’s success. Respect for each other’s strengths and developing roles to suit individual attributes whilst respecting their boundaries, was key to their decision making and governance. In the midst of the downturn, one CEO begun to transition the business’ ownership, management and leadership to the next generation. Knowing when to bring other people in creates an outward-looking culture and appointing an Advisory Board and Non-Executive Directors are also key to the evolution of a growing business. This is especially important in a challenging economic environment. Another take home message was that business founders must understand is when to let go and allow the next generation to step in when they are ready. Such transition and exit strategies take time to develop, execute and implement. Proper transition plans are essential, so start early. Professionalising the business with an exit ready structure, management and operating model has brought successful private companies other benefits, such as attracting external investment and finance for growth during the downturn. Now that the economy is showing signs of improvement, private enterprises are not sitting on their laurels. Instead, they are considering strategies for future development, whether through digital and innovation, expansion into new markets and embracing change. Thriving and surviving means never standing still.